I have a few what might be called irrational hatreds. I don’t find them irrational – I could justify them all day every day. But others might. For instance, people taking photographs at airports. Not photos of a traveller enjoying a pre-flight drink, which I can accept. But just photos with random planes in the background, photos of people sitting in the waiting area. Why bother? As if that’s going to be the highlight of your holiday, you fools – save the snaps for the good parts. Also, Kent. I’ve never been to Kent and couldn’t locate it on a map, but my university was attended almost exclusively by people from Kent telling me “You don’t sound like you come from Middlesbrough…where is Middlesbrough?” Renee Zellweger, of course, with her permanently pursed lips and squinty eyes. And then there’s celery. I am, as regular readers may have noted, a lover of vegetables. But celery surely doesn’t even count as food. It’s just bitter water in stick form. No, celery cannot be tolerated. 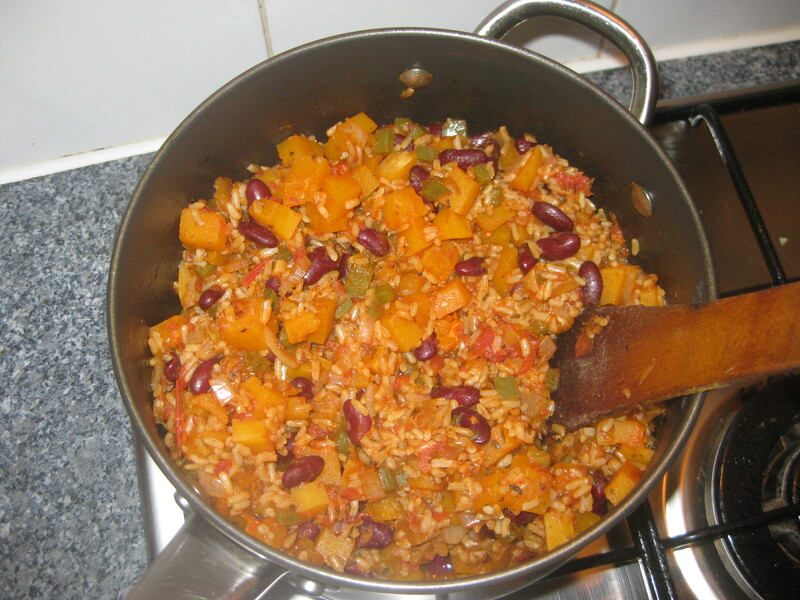 And yet here it is in this jambalaya-style dish, thinly-sliced, unobtrusive, and actually rather nice. 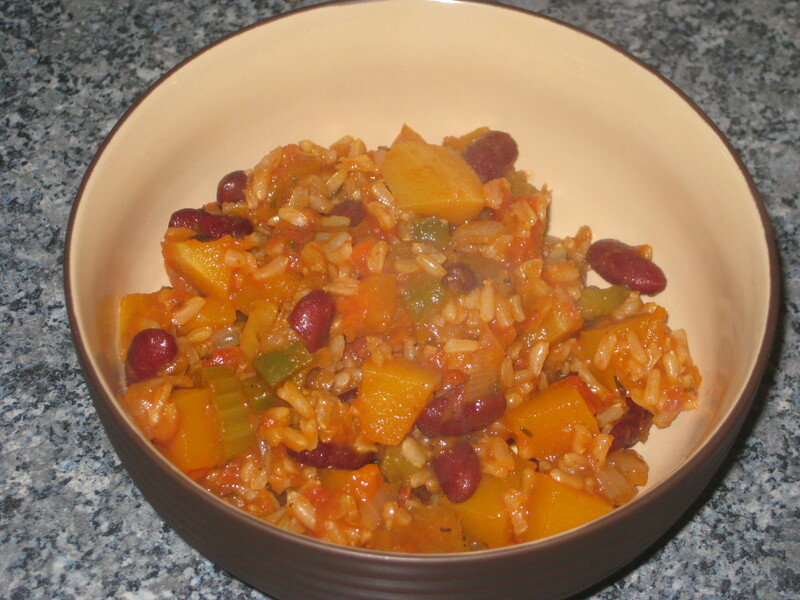 The stew as a whole is so packed with flavour and is delightfully hearty. I’ve only made it once but can already see it becoming a favourite. I will not be changing my mind about Kent, Zellweger or airport photographs though. Mark my words. 1. 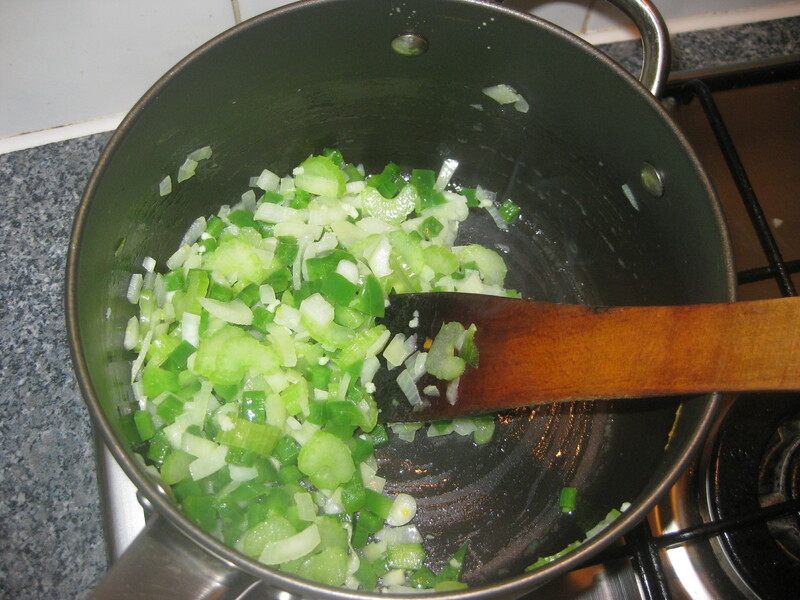 Heat the oil in a large pan and fry the onion, pepper, celery and garlic over medium heat for about 7 minutes. 2. 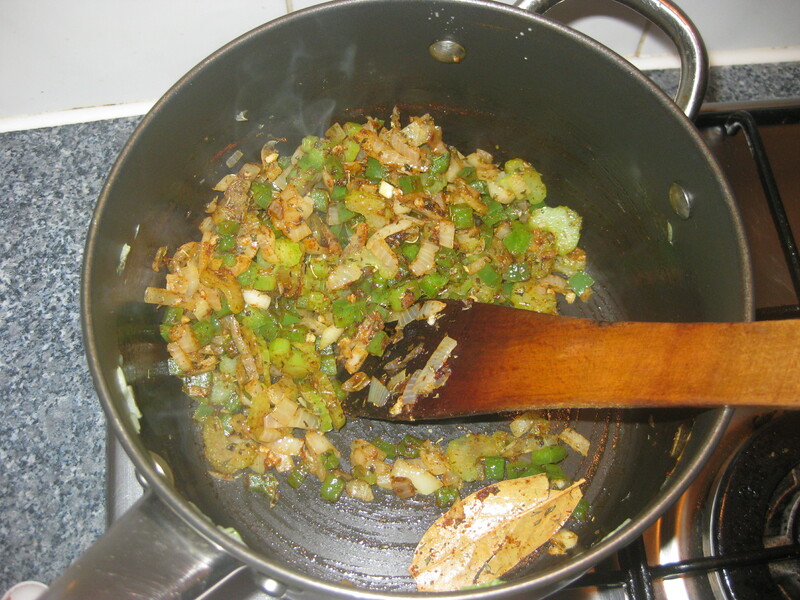 Add the bay leaves, paprika, cayenne, thyme, oregano and a good sprinkling of salt and saute for 30 seconds. 3. 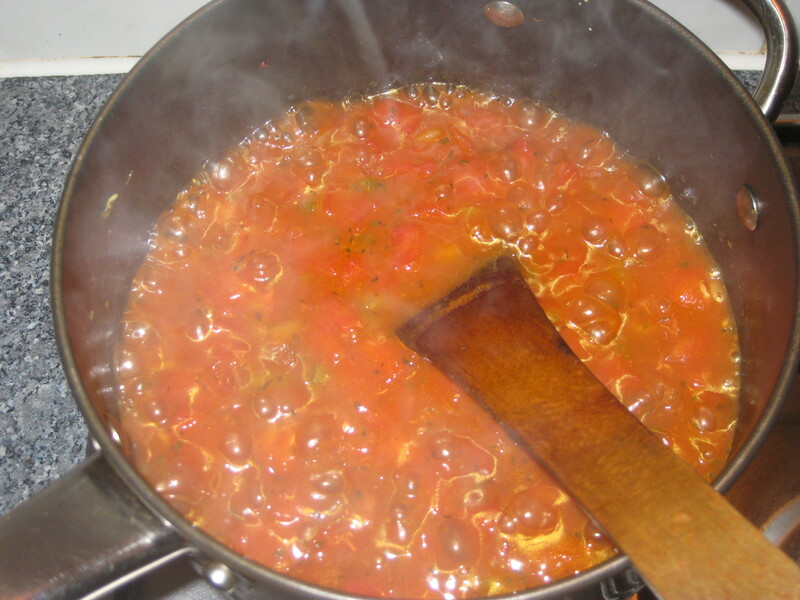 Add the stock, tomatoes and rice. Bring to the boil and simmer for 10 minutes. 4. 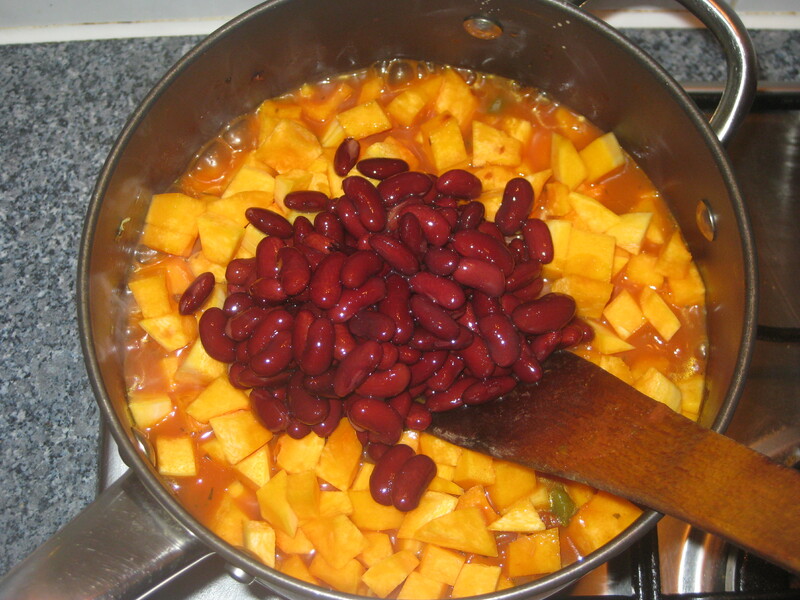 Add the butternut squash and kidney beans. 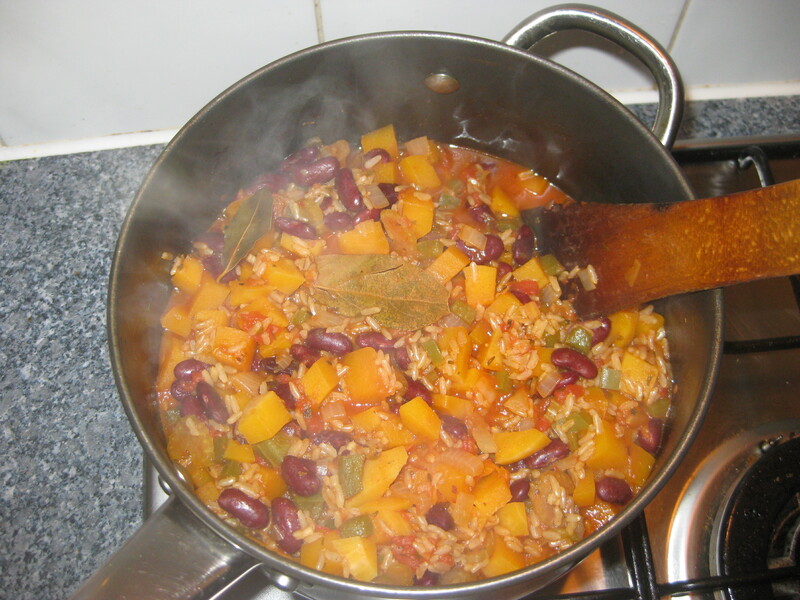 Stir in and simmer for a further 15-20 minutes until the rice and squash are both cooked. 5. Remove the bay leaves and serve! 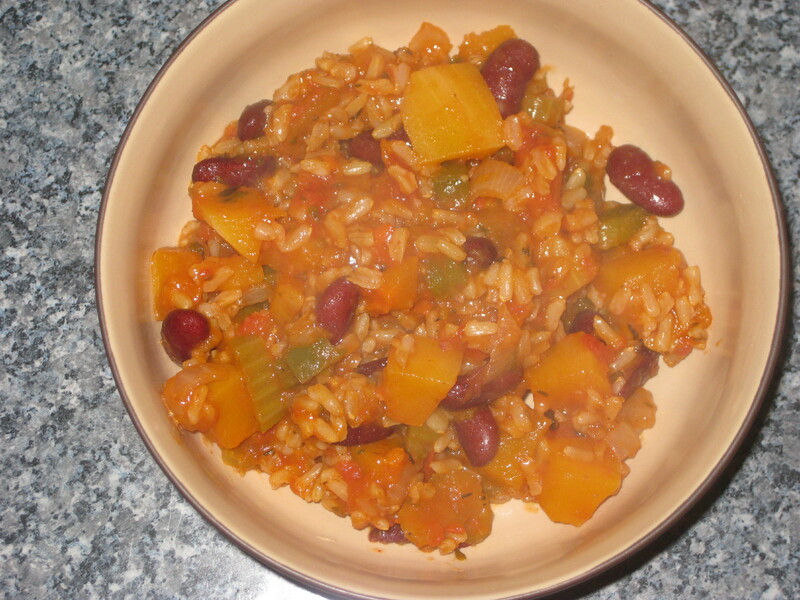 This entry was posted in Vegan Recipes and tagged jambalaya, stew, vegan. Bookmark the permalink. What a coincidence. There was celery in the Moroccan Chicken Soup I had for lunch from Union of Genius. I usually think of celery as a filler vegetable, but the wee discs of green were actually really tasty! Yeah, I think as long as it’s sliced small enough, it can be surprisingly tasty. I don’t think I’ll be using it as a crudite any time soon though!